Hatchbacks have exploded in popularity thanks to their versatility and sporty appearance, making it easy to dart around tight Chicago streets and fit in almost any parking space. LaGrange drivers shopping for a Volkswagen hatchback will find it in the Golf, providing all the space and practicality you need. Learn more about the conveniences hatchbacks offer, and explore additional spacious options in the VW lineup. The Volkswagen Golf hatchback has made a name for itself by repeatedly raising the bar for hatchbacks everywhere, thanks to its innovative method of packing in all the convenience, technology, and modern features you need, all in a compact vehicle. Most importantly, the Golf provides lots of interior configurations, offering 60/40 split rear seats which can give you up to 52.7 cubic feet of cargo space. The Golf SportWagen and Alltrack, while not technically hatchbacks, do offer LaGrange drivers similar cargo space options and interior configurations, and could be a good option if a longer body size is not an issue. Outside of hatchbacks, Volkswagen offers many ways to maximize cargo space without breaking your Naperville budget. If you’re craving the versatility of a hatchback but need even more room for your family, there are many models you may want to consider to help you carry everything you love in a safe, stylish package. 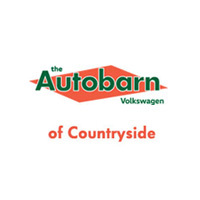 Once you’ve narrowed down which VW hatchback or model works best for your daily Downers Grove drive, schedule a test drive at The Autobarn Volkswagen of Countryside in Countryside today! Our knowledgeable sales team can help you break down all the perks of each and every new Volkswagen vehicle, guiding you toward the right option for you. Contact us to get started! 0 comment(s) so far on Which Volkswagen Models are Hatchbacks?